The popstar, 38, has been dating Danielle Parkinson for over two years. 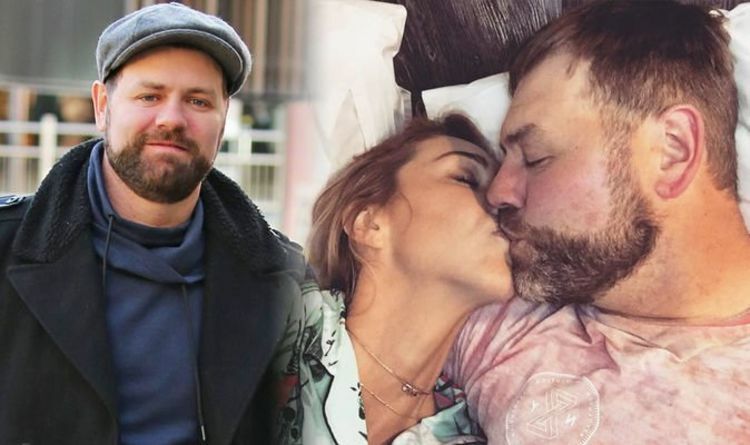 Speaking out on how he balances his private life with being in the public eye, Brian McFadden told Express.co.uk: “It’s up to you how much you want to have. If you want to have a private life, you just keep your life private,” he added. “A lot of people these days live their whole private lives in the public eye and for a lot of people that are famous at the moment it’s part of their job that they talk about their personal life. “I choose not to,” Brian explained. “I don’t hide away my personal life. Me and Danielle have a wonderful life together and I don’t mind talking about it, but I don’t put it out there or put it in people’s faces. “You have to have some part of your life for private or else you just have nothing for yourself,” he insisted. Brian is currently touring the UK with his new solo album OTIS, which delves into the soul influences which inspire him. On the subject of the tour, he said: “Danielle works with me, I don’t go anywhere without Danielle. “So she’s got her eye on me, I can’t get in any trouble,” he laughed. Brian and Danielle, a PE teacher from Rochdale, have been together since 2016 but keep their love life largely out of the spotlight. The Westlife favourite has previously had several high profile relationships and was married to Kerry Katona from 2002 until their divorce was finalised in 2006. The pair, who filed for divorce in 2004, have two daughters together, Molly, 16, and Lilly-Sue, 15. Brian subsequently dated Australian singer Delta Goodrem, 34. They split in 2011 and he later married Irish model Vogue Williams, 33, in 2012 before they separated in 2015. “I’ve done many a tour before but this is the first time I’ll tour with a nine-piece soul band with brass and stuff like that,” he continued. The Dancing On Ice star previously began the tour with dates in Dubai and South Africa before taking a break to compete in the ITV skating competition. “I loved what I did before Christmas,” he enthused. “I took a break then to do Dancing On Ice but back to going on the road again. “It’s great, it’s very exciting to perform with that kind of a band. “I’ve performed with live bands before but never with all the live brass and stuff,” he explained. “It’s a completely different feel.